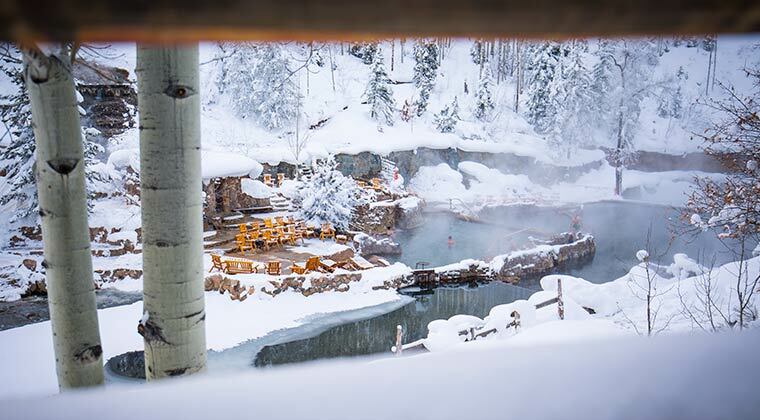 Just outside of Steamboat Springs nestled alongside Hot Springs Creek lies one of the most spectacular mineral springs in the world. Imagine relaxing in 104 degree mineral water while Steamboat's famous Champagne Powder™ gently collects in the surrounding forest. Enjoy a massage in a beautiful private massage hut or a watsu therapy in the private pool. The pools are perfect for relaxing after a long day of skiing or hiking, or for a day-long visit! 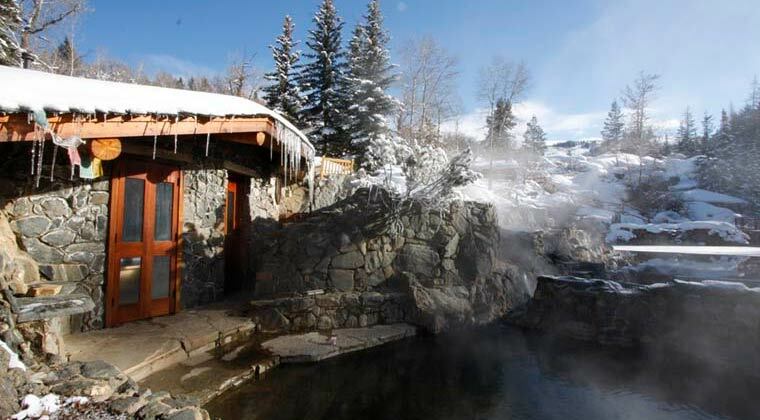 Strawberry Park Hot Springs is truly an unforgettable experience. The blending of pure natural beauty and the unique stone masonry of our pools will undoubtedly impress you with each visit. Our facility is unique and unlike anything you have seen before. 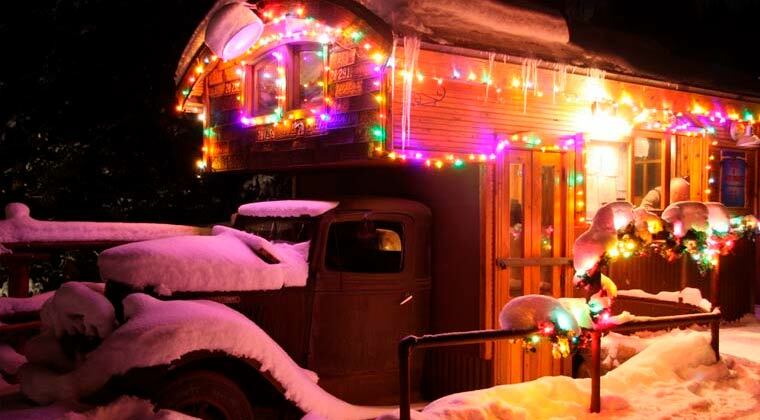 Facilities include restrooms, a tipi and heated cabin for changing, and picnic areas. Private areas available for Watsu and table massage. Limited concession with beverages available. Food is only allowed in picnic areas. Please remember our rules are in place to ensure protection of the park as well as the comfort and safety of other guests. Please no smoking, no alcohol, no food outside of picnic areas, and NO GLASS! Pets are not allowed. Please plan accordingly. Treat Yourself Right ~ Enrich your rejuvenating experience at this wonderful healing springs with a massage. Our team of therapists will cater to your needs. Whether you are seeking overall relaxation or a massage with a specific, focused approach our therapists are ready to assist. You won’t find a better place to heal your body and soul. Massage and Watsu therapists are available daily. All therapists are fully licensed & insured. Reservations are recommended to ensure therapist availability in this beautiful mountain setting.